I just reinstalled high Sierra after my Mac wouldn't restart. The moment it loads up I am presented with this screen. My login credentials don't work. Can someone explain to me what this screen is and what I'm supposed to input? This looks like a font corruption issue. If you can boot into recovery mode and access Terminal you might be able to solve the problem by restoring the default system fonts. First, to boot to recovery mode: Reboot your machine holding CMD + R until you see the Apple logo. Close terminal and restart normally. Not the answer you're looking for? 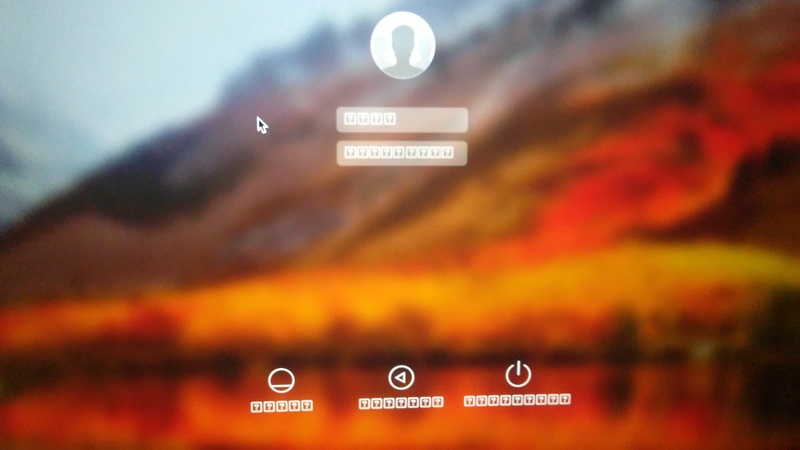 Browse other questions tagged macbook high-sierra screen login-screen .